If there’s one thing we’ve learned over the last decade, it’s that Bungie is one of the undisputed masters of incredible gaming trailers. Whether it’s with actual gameplay or a pre-rendered cutscene, the amount of emotional weight and gripping intensity they put into every single trailer is astounding. My personal favorite, though, is their live action work. Halo 3, ODST, Reach, and Halo 4, and even Destiny all had live action trailers, and the first on that list gave birth to one of the finest ad campaigns I’ve ever seen for a video game, or for any form of media. Ladies and gentlemen, I give you – “Believe”. “Believe” is a fictional documentary about the Human-Covenant war, where the host/documentarian interviews survivors and retired soldiers who served alongside the Master Chief. 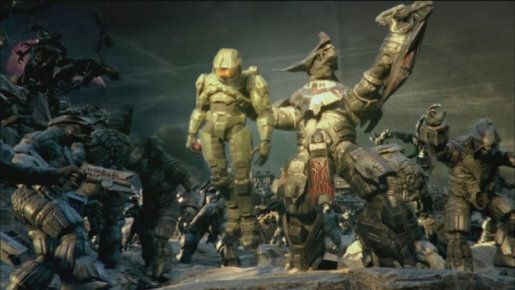 While Destiny’s live-action trailers focused on the raw, shoot-em-up action of the game, Halo’s live-action trailers were purely focused around the visceral reality of war and the toll it takes on everyone involved. These trailers were dark, gripping, and made every hair on the back of my neck stand up. There simply was not, and may never be again another series of ads that evoke emotions quite like these did. I can only hope that with Halo 6 closing out the second trilogy in the series, it will bring back this level of intensity for it’s ads as well. For more Degenerate Journalism, follow us on Twitter, subscribe to Not Another Gaming Podcast, and check out our official shop!